Click Here to find out how much you will get paid! Your Capacity will be close to 8, 16, 32, or 64 GB. Click here to return to selection! Fill out the questions above to get a quote on how much your iPhone 3GS is worth and how you can get the most money for your iPhone 3GS. If you are here to sell your iPhone 3GS for AT&T or sell your Verizon iPhone 3GS, we are ready to buy it all including Sprint and the Unlocked ones. If you want to sell your broken iPhone 3GS that has a cracked screen or that's not working or want to sell your working iPhone, our iPhone 3GS buyback program is here for you, just answer the questions above and you will find out how much your iPhone is worth. 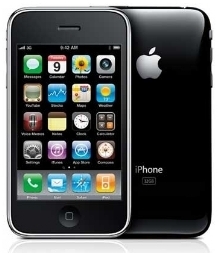 Sell iPhone 3GS with any size, iPhone 3GS 8GB, 16GB, 32GB, or 64GB. Trade-in your iPhone 3GS today and enjoy the extra cash!